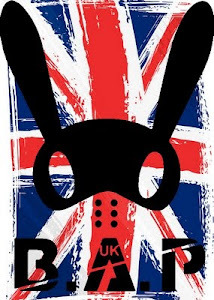 I would like announce the closure of UK B.A.P. The time has come for me to move on from updating the site and move on to other things and focus on other current commitments. Owning and working on a fansite takes a lot of work and time. And I have come to feel that I do not have enough time for myself these days. And since I am struggling to find admins that I am happy with to take over for me, I have decided that the road for this site has reached it's end. Closing this site does NOT reflect my feelings for B.A.P at all. If you know me, you know how much B.A.P mean to me. I adore those boys to the moon and back. Always have and always will. The decision to start something like this is not something that should be taken lightly. You need to be willing to give up time and give your dedication. Which is exactly what I did for almost 2 years. It was an incredibly hard decision to decide to end this and I will miss doing this. I have just developed different feelings to updating lately which has told me that now is the time to give this up. 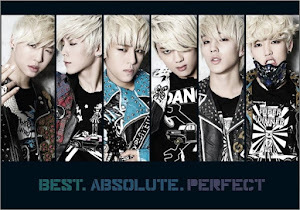 I'd like to take this opportunity to thank BABYs who have supported UK B.A.P up until now. Who have followed us and kept us company. I've made some lovely friends through this and I still hope to make more! Your support has meant a great deal to me and kept me wanting to work hard for you and for B.A.P. I am sorry to those who rely on UK B.A.P for updates, I hope that the next UK fansite owner will keep you guys well updated. For now there are plenty of other well kept fansites around. I'll keep this open for now so you can look back in past updates if you wish. Please keep loving and supporting B.A.P to the best of your ability. They deserve it and so many good things in life. I'll keep supporting them as I always have done too. Why you have to close this? I always looking for you..